Panasonic supplied more than 640 visual systems in over 40 pavilions at Expo Milano 2015, themed "Feeding the Planet, Energt for Life". Selected for high quality and reliability, our projectors were used to create breathtaking images on a huge variety of surfaces while interactive touch-screen and video-wall panels served a feast for the senses. Panasonic's marathon endurance was proven with about 98% of the 640 installed products running failure-free for 15 hours per day over a continuous six-month period. 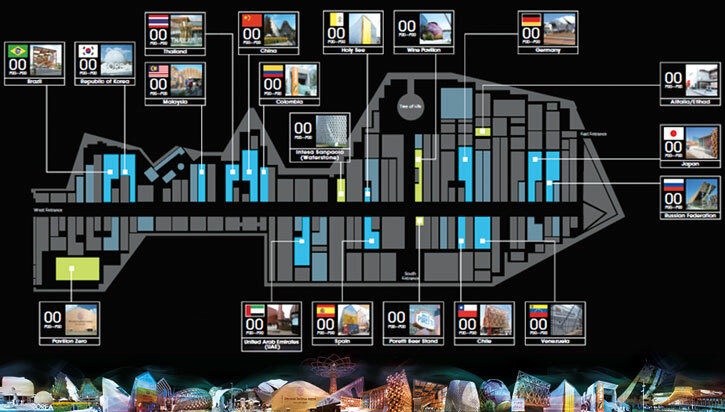 Explore the most imaginative Panasonic visual installations here at Expo Milano 2015.